This is a peculiar festivity already known and celebrated by ancient egyptians: the divine energy "Earth's Heart" (or "Intelligent Light") flows into a sacred cone shaped stone (Betilus - Gods' See) or in black stones or flash stones. It is important to note that the concept of Sun celebrated in this day is not referred to the Sun as "astronomical object", or the star everyone can see in the sky - the sole sun profane people can perceive, but as "divine entity", but the so-called "Third Sun", "The Centre of the Universe, "The Divine Entity". I suggest, for any further detail about this topic, the reading of the text by the Emperor Julian "Hymn To King Helios". This well-known hymn by Proclus can be used as correct invocation. and channel off from above a rich stream of harmony into the material worlds. always send life-producing drops down for earthlings. everything that is born has sprouted up according to the ordinance of the Seasons. stopped once you appeared from your unspeakable begetter. For you the unshakeable choir of the Moirai has yielded. For all around you dominate, all around you rule by force. 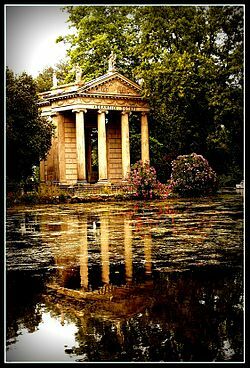 From your chain the king of the song that obeys the divine, Phoibos, sprung forth. he calms the great wave of deep-roaring becoming. and he imposed his health by filling the wide cosmos with harmony wholly devoid of harm. People honour you in hymns as the famous father of Dionysus. whereas others praise you as pretty Adonis. with the result that they forget the bright-shining court of the lofty Father. while mollifying the swift eye of Justice that sees all. I may cultivate the gifts of the Muses with pretty locks. Give me, if you wish so, Lord, unshakeable bliss as a reward for lovely piety. You perfect all things easily, for you have the power and infinite might. ward it off yourself with your mighty radiance. E' opportuno ricordare che il concetto di "sole" celebrato in questa giornata non si riferisce ovviamente al Sole in quanto "corpo astrale" o soggetto astronomico, ovvero la stella che vediamo nel cielo - unico Sole percepibile dai profani -, ma il cosiddetto "Terzo Sole", "Centro dell'Universo", "Ente". 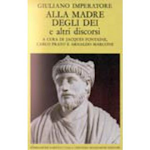 Per opportuni approfondimenti consiglio la lettura del testo dell'Imperatore Giuliano "Ad Helios Re". Il seguente arcinoto "Inno al Sole" di Proclo può essere utilizzato come corretta invocazione. e che sui mondi materiali dall'alto versi un copioso fiume d'armonia. e ogni generazione, sotto i vostri ricorrenti corsi, rigermina secondo la legge delle Ore.
che discendi da padre ineffabile appari. quando lo vuoi; giacchè sommamente sei potente e vastamente signoreggi. divinamente cantando, al suono della cetra, placa l'enorme flutto della generazione dal cupo muggito. e sua salute diffuse, dopo aver riempito il vasto universo di balsamica armonia. e te Evio-Attis negli ultimi recessi della materia, te delicato Adone altri chiamarono nei loro canti. e dimentichino la dimora eccelsa e splendente del padre. e tienmi lontano dalle espiazioni, placando l'occhio vigile di Dike che tutto vede. funesta ai mortali, prodotta da veleno e al corpo il magnifico dono d'una perfetta salute. possa aver cura delle Muse dalle amabili trecce. Tu, infatti, possiedi saldo ed infinito vigore. distòrnalo con la forza dell'impeto tuo. One of the most important concept and practice in the Traditional Roman Spirituality is the idea of Otium. It is very difficult to explain such principle: similarily otium is a very complex practice to follow. In brief, otium means inner peace and wellness, a condition in opposition to agitation. Agitare in Latin means both confusely thinking and an intense condition of action, of doing something. In this perspective, an obsessive thinking and doing, typical in an agitation condition, drive a person to anxiety. Otium is therefore a condition totally in opposition to agitation and unrest. If agitation results from confusing thinking and acting, otium implies blocking thoughts and actions: through a deep concentration and a continuing subtraction, one can achieve the capability and possibility to stop all the actions and thoughts. Yet otium doesn't describe a physical and mental immobility in profane terms. When this condition of calm is achieved, "discrimination" and separation cease: it can be acquired a perception to be part of the entirety of the Being. One can perceive an awareness to be part of the Everything. Actions and thoughts in a state of otium flow in a natural way, with no efforts: one can reach a condition of inner silence where anything flows spontaneously. 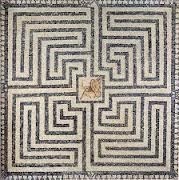 Otium drives to a condition of peace with life and death, with no intentions, will, efforts, worries, needs or wishes, aims, goals and results: one has only the perception to "happening" hic et nunc. Wellness generated by otium results from the absence of wishes (I don't need anything), the perception of calmness, peace, the awareness to discover our essential real nature, semplicity of life, equilibrium. Otium implies that our mind can "breath" overcoming the distractions caused by physical and mental agitation, anger, anxiety and unrest. It is very difficult to explain how practicing otium: I can just say here that it is something one can experience as absolute and natural calm coming from nowhere. Sitting in meditation, possibly under a tree or walking alone along a country road may contribute to experience, with a tutor's support, a feeling of otium: you can feel it when perceiving mental and physical softness, absence of rigidities, a natural personal flowing as component of Everything. 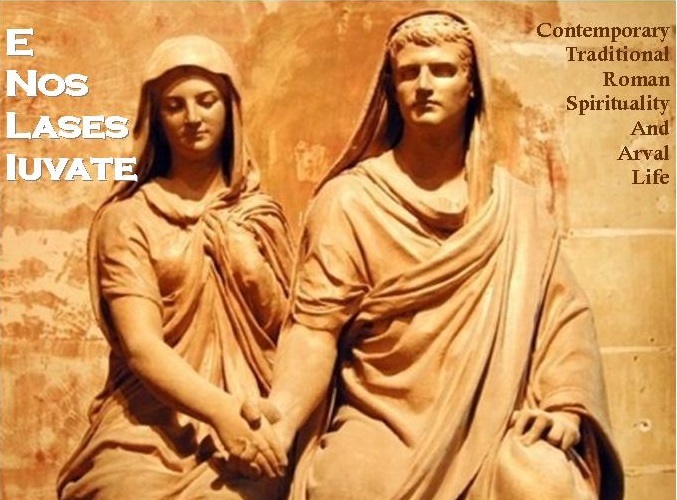 Uno dei concetti e delle pratiche più importanti della Spiritualità Tradizionale Romana è certamente quello di Otium. Si tratta di un concetto difficile da spiegare ed una pratica complessa da seguire: sinteticamente si può dire che l'Otium significa pace e benessere interiore, una condizione che si contrappone a quella dell'agitazione. Agitare in latino significa sia pensare in modo confuso sia uno stato intenso di azione, di fare. In questo senso il pensiero e il fare ossessivo tipico dell'agitazione conducono all'inquitudine. L'otium è pertanto una condizione diametralmente opposta a quella dell'agitare e dell'agitazione. Se l'agitazione è il risultato del pensare e dell'azione, l'otium implica la cessazione del pensare e dell'azione; tramite una concentrazione profonda e per sottrazione continua, si giunge alla capacità e possibilità di fermare tutti i pensieri e tutte le azioni. L'otium non esprime tuttavia un'immobilità fisica ed intellettuale. Quando si giunge a questo stato di quiete cessa la "discriminazione" e la "separazione": si acquista la percezione di essere una parte della totalità dell'esistente. Si giunge alla consapevolezza di essere una parte del Tutto. Le azioni e i pensieri in uno stato di otium fluiscono in modo del tutto naturale, senza sforzo: si sta in uno stato di silenzio interiore in cui tutto scorre in modo spontaneo. L'otium conduce ad uno stato di pace con la vita e con la morte, senza intenzioni, senza volontà, senza sforzo, senza preoccupazione, senza bisogni o desideri, senza scopi, obiettivi o risultati: si ha la sola percezione di "accadere" hic et nunc. Il benessere generato dall'otium è il risultato dell'assenza di desideri, percezione di tranquillità, pace con sè stessi, consapevolezza di scoprire la nostra natura essenziale, percezione della semplicità della vita, equilibrio. L'otium implica che la mente possa "respirare" e che vinca la distrazione causata dall'agitazione fisica e mentale, dall'inquitudine e dall'irrequitezza. La pratica dell'otium risulta molto difficile da spiegare: sperimentare una calma assoluta e naturale che scaturisce dal nulla è l'essenza dell'otium. Sedere in meditazione in solitudine, possibilmente sotto un albero oppure camminare lentamente lungo una strada di campagna possono contribuire a raggiungere, con l'aiuto di un tutor, un'esperienza di otium nel momento in cui si percepisce morbidezza, assenza di rigidità, questo fluire naturale di noi stessi come parte del Tutto. "Let's not blame our body as it was the source of our great harms and evil and not even pour our angst on the things. Let's rather find the cause in our soul and, eradicated any useless wish and hope in the ephemeral things, let's achieve a total self-control. Because we are sad and depressed or by fear either by useless and limitless desires. If these passions are under control, we can achieve reason and happiness"
"Non accusiamo il nostro corpo come se fosse la causa dei nostri grandi mali e neppure riversiamo sulle cose le angosce: cerchiamone piuttosto le cause nell'anima e, sradicato ogni vano desiderio e speranza nell'effimero, diventiamo interamente padroni di noi stessi. Perchè si è infelici o per paura o per desiderio futile e senza confine. Se a queste passioni si mettono le briglie, si può guadagnare la ragione e la felicità". December derives its name from the fact to be the 10th month of the king Numa's ancient calendar which begins on March. December represents the "depth", the origins, the Antique and Primordial Time: the beginning of Time. This is a very particular month focused essentially on the festivities and rites of Saturnalia and Divalia (dec. 21st). If Janus represents the beginning, Saturnus (to which December is dedicated) represents the "end". In this meaning (and only in this not-profane meaning) Saturn is "the Ancient", he symbolizes a primordial state, the Saturnia Regna - the Golden Age/Satya-yuga - the beginning of the Sacred Time. 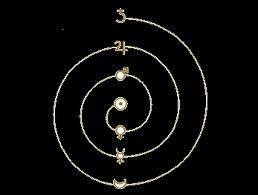 With Saturn, the vital energy of the Earth ceases to be linked to Chaos. Saturn is evirated (separation from power) and chased away by Jupiter. For this reason Saturn hid himeself in Latium and then he disappeared from the Earth. With Jupiter the Age of Silver begins followed by the Age of Bronze and Iron. Porphiry, in his Perì Agalmàton, writes that Saturn shows a lazy, slow and cold force: for this reason he is linked to the Force of Time. He is represented standing up and white haired to highlight that Time brings the Old Age. Saturno è alla base della dottrina tradizionale romana dei "cicli": egli rappresenta la morte ciclica che presuppone l'inizio di un nuovo ciclo. Essendosi celato nel Lazio, la Religione Tradizionale Romana è emanazione della sapienza tradizionale primordiale dell'Età dell'Oro.